5 oz. 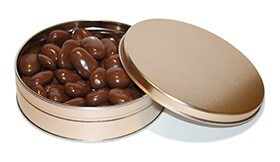 Box Chocolate Toffee Pecans - we wrap our gourmet pecans in toffee then chocolate for this popular favorite! We wrap our roasted pecans in rich toffee then milk chocolate for this gourmet pecan you won't be able to get enough of! Try our milk chocolate covered pecans! Don't forget about our creamy white chocolate covered pecans!